Did you create a new game? 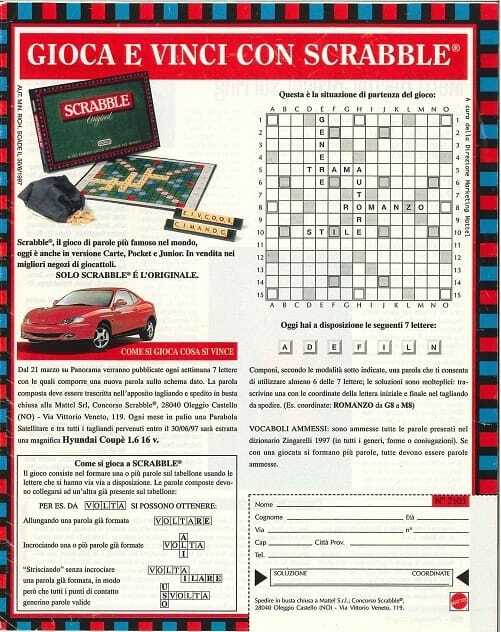 After the 1993 experiment of the 1st (and unique) Scrabble World Championship in italian language, between 1995 and 1998 the company Mattel purchased the brand Scrabble and wanted the italian players to know and appreciate the game, whose italian “clone” arrived in Italy before the original game conquered the market. A “Scrabble project” we could say. First the two magazine promotions, Corriere della Sera and Panorama, two long competitions with many prizes. And then the 1st unforgettable National Championship with the final on TV, during the TV program Quelli che il calcio (see video below). And the magazine Scrabble News. And the 2nd National Championship. 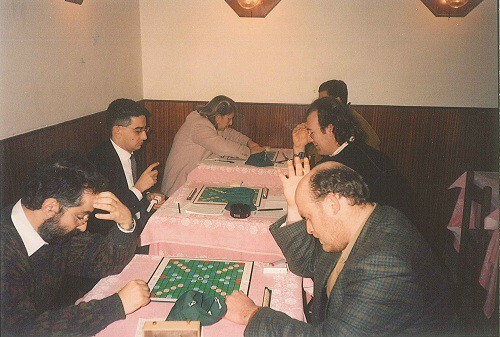 Then the full rewrite of the rules and the grounding of the Scrabble Club, that for several years gathered together the best italian players. 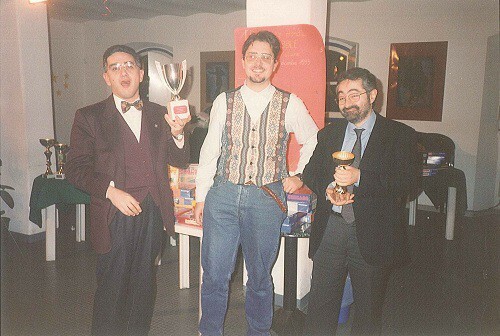 The present story of Scrabble in Italy is all in the Federazione Italiana Gioco Scrabble‘s hands, founded in 2007, that is making a great job both in a technical and in a promotional way. 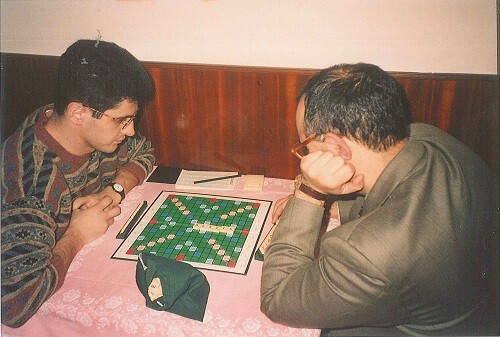 Scrabble wasn’t yet very popular in Italy, but a group of “pioneers”, in 1993 organized in Rome the 1st (and unique) “Campionato Mondiale in lingua italiana” [“Scrabble World Championship in italian language”]. The winner was Claudio Borgnino from Naples, against Roberto Mazzaferri from Rome. The challenge has been refereed by Dario Zaccariotto. 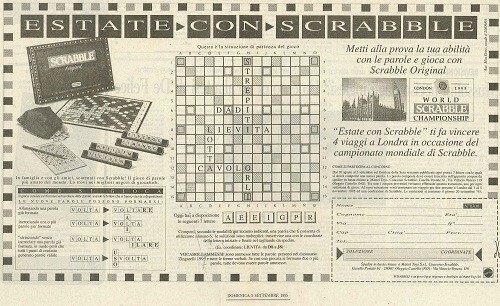 To make the italian players know the original Scrabble, two competitions have been organized, one by the paper Il Corriere della Sera (1995) and one by the magazine Panorama (1997). In occasione del lancio dello Scrabble in Italia è stata anche realizzata la rivista Scrabble News, diretta da Dario De Toffoli. The video of the national final in Rome, during the TV show Quelli che il calcio, with Fabio Fazio in the studio and Paolo Brosio as correspondent. The 1st National Scrabble Championship. A thousand players at the Milano, Rome, Naples, Palermo, Bologna and Venice selections. 100 the admitted players to the final of Rome, which was also shown during the TV show Quelli che il calcio. 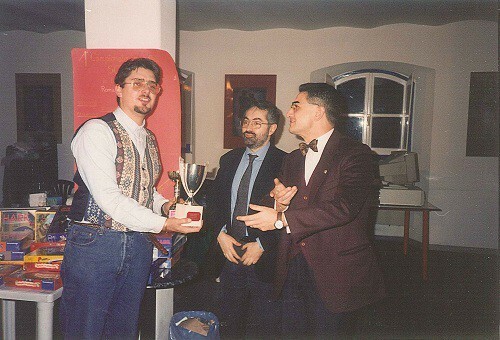 20 the qualified players for the Duplicated Scrabble, and at the very final the roman player Giuseppe Ricciardi wins against Edgardo Bellini from Naples. The complete chronicle on Scrabble News. More than 1000 players participated to this second edition of the National Scrabble Championship, with selections in Milan, Genova, Rome, Naples, Bari, Cagli, Palermo, Bologna and Padova. The final, in Rome, has been won by Carla Maria Morisi from Codogno (Lodi) against Edgardo Bellini from Naples, a player that got a second place also at the previous edition. 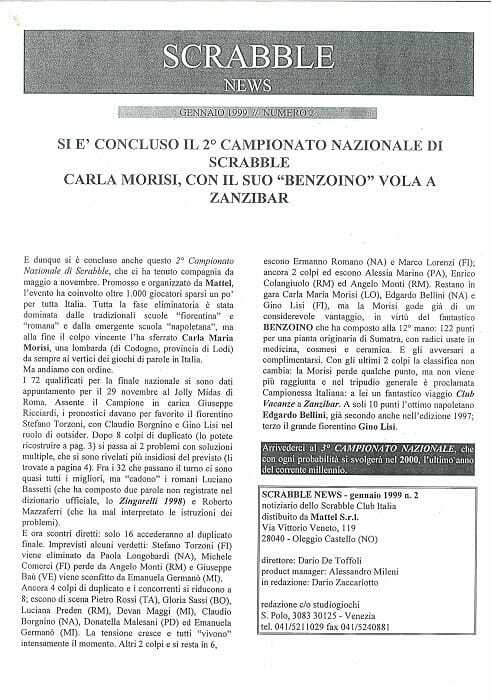 The incredible word that made Carla Maria win: “Benzoino” [Benzoin]. The complete chronicles on Scrabble News.